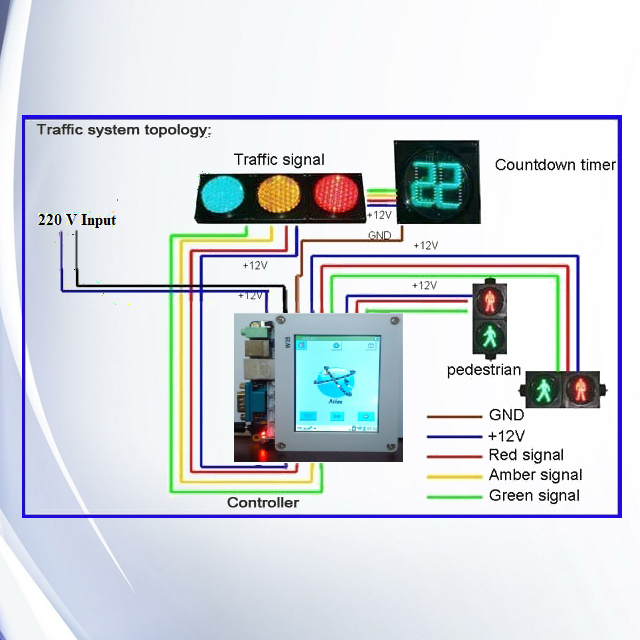 ATLAS is a state-of-the-art traffic controller, modular in design and can be configured for all types of intersections. The Advanced Traffic Light Assistance System (ATLAS) is a traffic signal controller that features a full-fledged traffic control system with necessary provisions that will allow traffic regulation from the control room with the assistance derived from intrusive and nonintrusive methods thereby enabling absolute control of all the signals in the city. ATLAS will also perform a cable less synchronization of successive signals on the roads, which will optimize wait time of the motorists at various signals. Further to this ATLAS enables communication with the public at the signals by integrating a public addressing system and also variable message displays as well as Surveillance Cameras and Speed Enforcement Tools. ATLAS also gets input from emergency/priority vehicle and regulates the traffic for the emergency vehicle to reach its destination on time. Using TCP/IP or 3G modem it can be directly connected to much different control and monitoring systems.